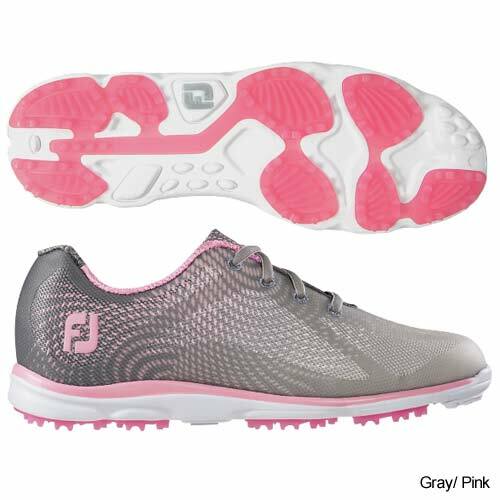 Brand new from FJ, shoes engineered specifically for women: lightweight & breathable yet waterproof and fiercely performance-based. 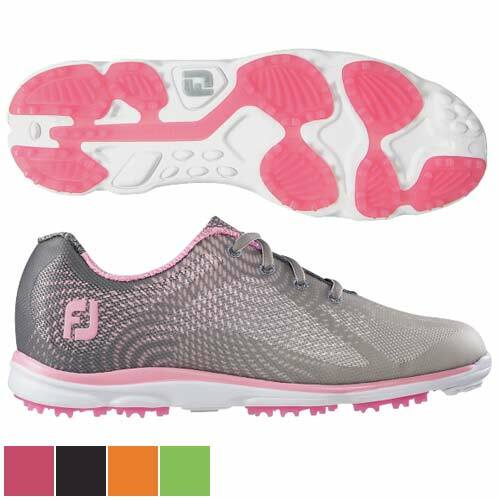 Introducing emPower, a category of athletic-inspired shoes for women seeking footwear that will perform on course and will hook up with their sporty outfits. 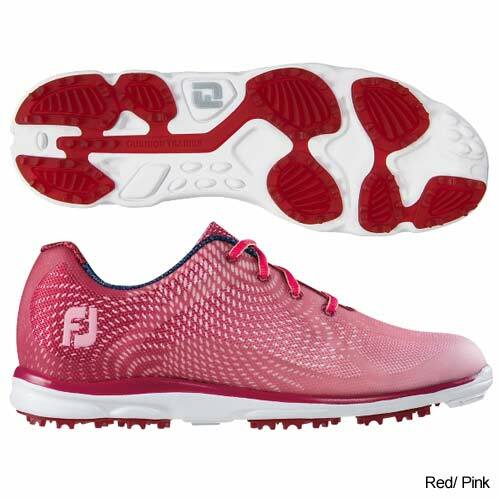 Feel emPowered! 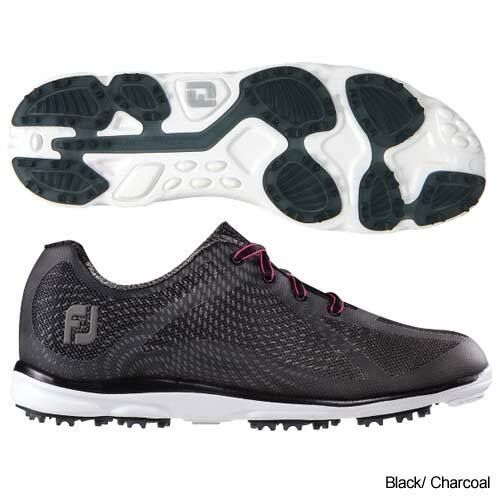 A soft underfoot foam delivers extreme comfort throughout your round. 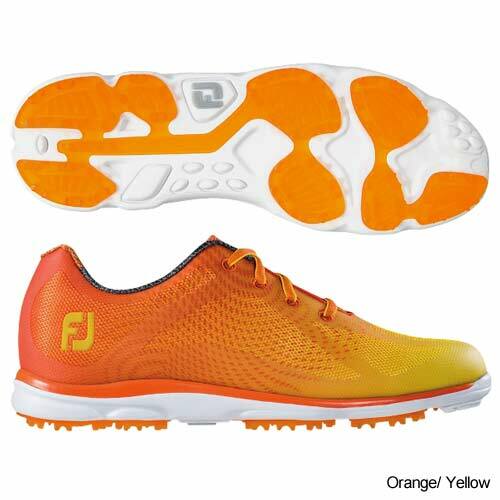 The Power Last offers a rounded, athletic toe character, generous fit across the forefoot, with a slightly narrow heel. 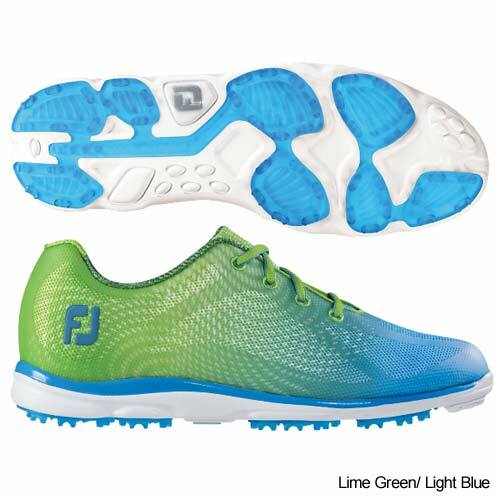 emPower outsole pods ensure a slip free round with turf gripping traction.